I wanted to share one of my must-have foods at a Super Bowl party. Flavorful chicken wings in a variety of sauces is a staple, and my husband is obsessed with my oven-baked version. They are just as crispy as if you deep fried them. The secret is using my favorite dried seasonings (minus the salt) along with a few tablespoons of Dijon mustard. Cooking on parchment paper in a 400 degree oven on convection for 35 minutes helps to crisp them up. If you don't have a convection setting on your oven, no worries. Just bake at 415 for 35-45 minutes. The good thing about parchment paper is that nothing sticks. We LOVE all flats and are lucky to find them at our local Kroger store in a 5 pound bag. One of my favorite ways to take my crispy wings to the next level is to jazz them up with garlic and Parmesan. Bake wings according to directions above. 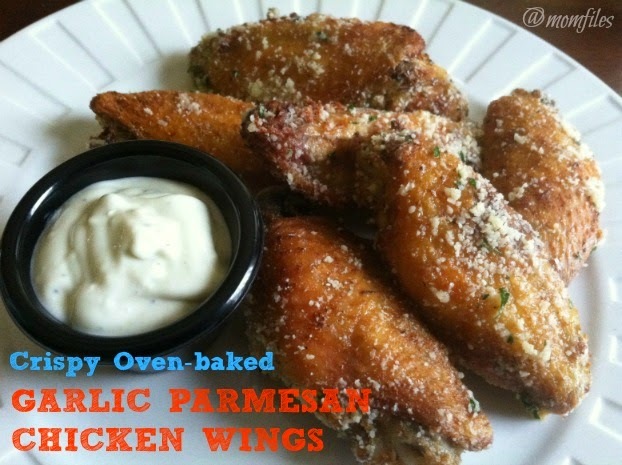 Toss wings in the Parmesan cheese and parsley flakes. 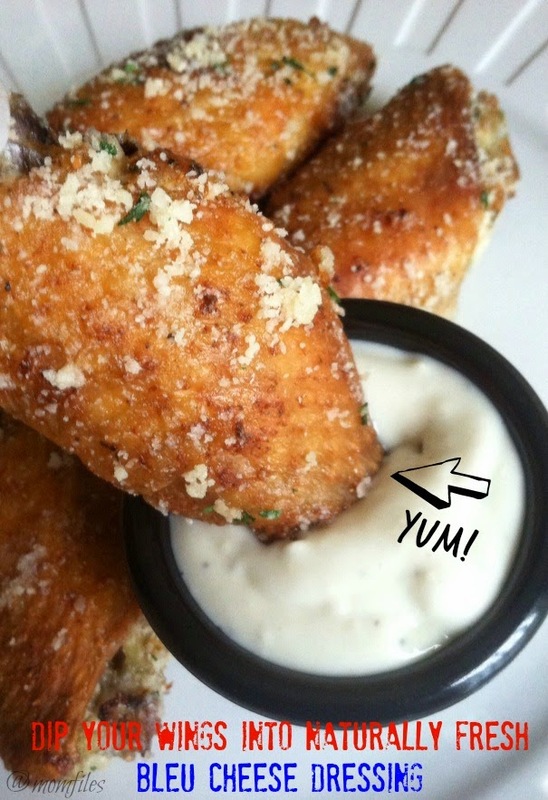 Serve with Bleu cheese dressing and enjoy! Tip: Make sure after you wash your chicken that you dry them extremely well with paper towels. Excess moisture will cause your chicken to steam in the oven and you will not achieve crispy skin. Those look so yummy! Definitely, perfect for the Super Bowl. Must try!!!!! It's all I'm going to say. 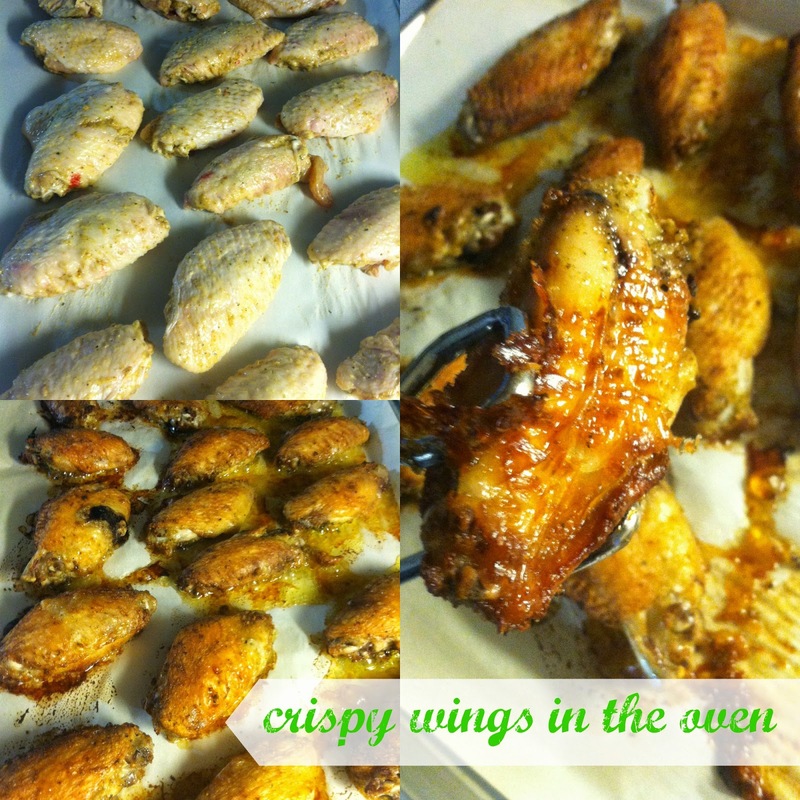 Love wings and I'm always looking for yummy recipes like this one.